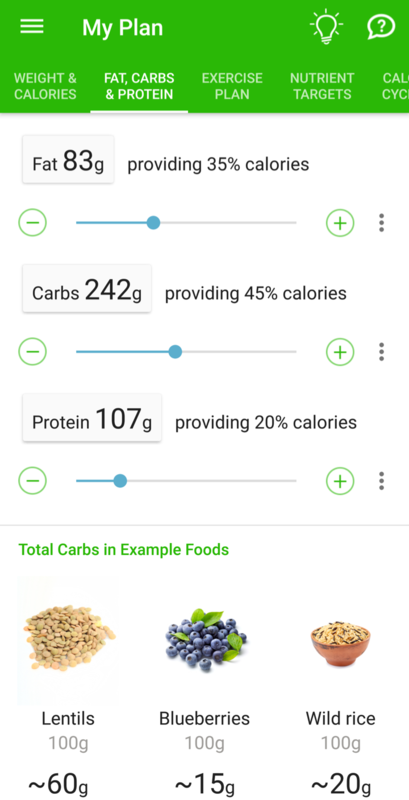 You can read up on each nutrient, use recommended values or use a custom target. Show On Dashboard option lets you track the nutrient on Dashboard. Show In Food Log option lets you see the nutrient on food logging screens and in food reports. If you have MyNetDiary’s free membership, you can only track calories, macronutrients and some pre-selected nutrients: saturated fat, trans fat, sodium, fiber and calcium. Other nutrients are available with Maximum membership. Tip: Be sure to create a MyNetDiary account so that you can access your data from any MyNetDiary-supported devices with the same login information. Fat, carbohydrates, and protein are macronutrients. They provide calories and they constitute the bulk of what we eat. As described in Planning Weight & Calories article, to lose weight one must consume fewer calories than the total burned. Eating fewer calories also means eating fewer grams of carbohydrate, fat, and protein. 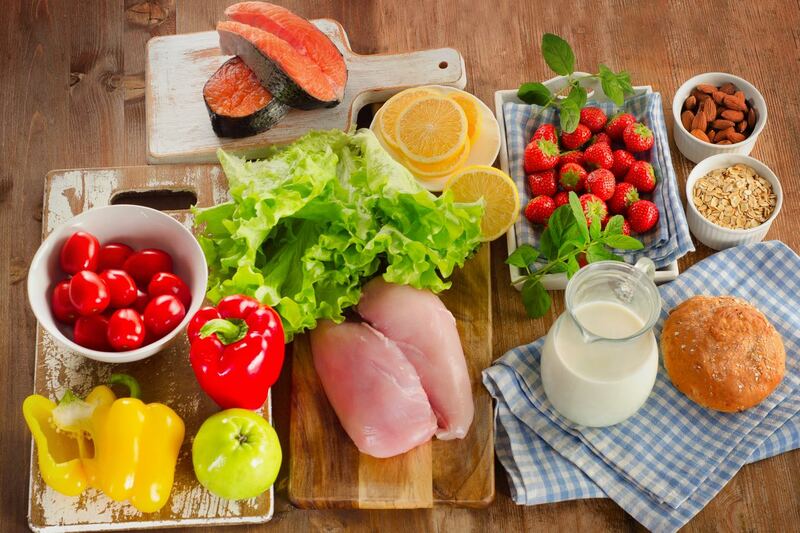 It is very important to reduce macronutrient consumption wisely, as your body needs all of them – you cannot simply cut out all fats or carbohydrates. The key is to consume all three macronutrients but in amounts that support your health, meet nutritional needs, and fit with your preferred eating style or diet type. Is there an ideal macronutrient mix for weight loss? No. To lose weight, you have to create the needed calories deficit. How you decide to consume your calories is up to you. But having said that, the Acceptable Macronutrient Distribution Range for each macronutrient is a great guideline to follow. That does not mean you will be eating poorly if you choose to consume above or below those ranges. The types of foods you consume will affect your diet quality and health risk more than the specific macronutrient goal you have set up for yourself. To learn more about fat and how to set goals for the different types of fats, please read this short article: Fats. To learn more about carbohydrates, how to set goals for different types of carbs (including fiber and sugar), and the different types of carb counting available, please read this short article: Carbohydrates: Sugar, Starch, and Fiber. To learn more about protein and how to set a safe goal, please read this short article: Protein Foods. Tip: Macronutrient goals automatically update when your Calorie Budget changes. 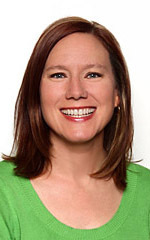 To learn more about Calorie Budget and what affects it, please read Planning Weight & Calories. In addition to the macronutrients, there are many other nutrients to track. 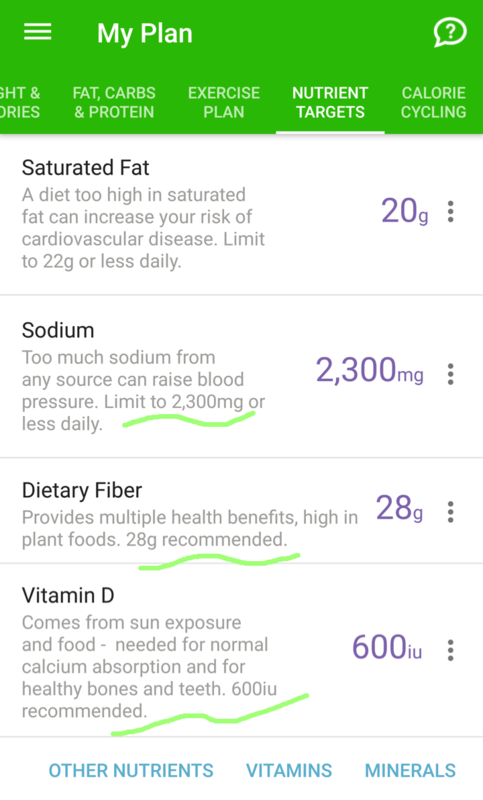 To learn more about each nutrient, explore Plan section and tap the icon to the right of the nutrient to find information and a recommended goal. If the nutrient has an RDA, then MyNetDiary uses that as the recommended goal. If there is no RDA, then the Adequate Intake level is recommended. A Maximum membership is required to track and customize all of the nutrients listed below, except for sodium. 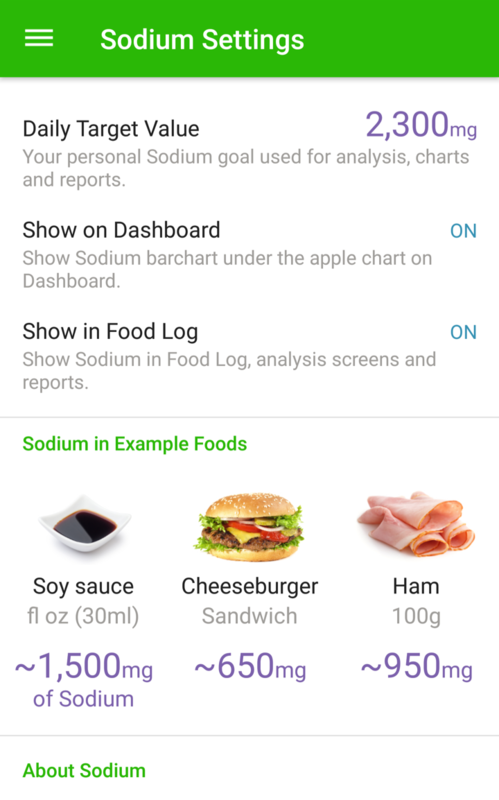 Sodium can be tracked with any app and with or without a Maximum membership. Alcohol has calories but it is not considered a nutrient. Although you can track alcohol in your food log, and see it displayed in reports and on your Dashboard, it is excluded from macronutrient planning for a couple of reasons. First, most MyNetDiary members are trying to lose weight so their calories goal is already quite low. Budgeting for alcohol grams means reserving calories for alcohol, a source of empty calories. If alcohol is excluded from macronutrient planning, then there are more calories available from macronutrients that directly support and nourish the body during weight loss. Consider that alcohol provides 7 calories per gram whereas protein and carbs contain only 4 calories per gram. Fat contains 9 calories per gram but unlike alcohol, consuming fat also means consumption of essential fatty acids and improved absorption of fat-soluble vitamins. If alcohol was included in macronutrient planning, then the percentage of calories coming from all macronutrients would be incorrect whenever alcohol was missing. Also, calories and nutrients are not required on alcohol containers so that causes further error in meeting one’s weight and nutrient goals. Again, although alcohol is not included in macronutrient planning, you can track alcohol. Just keep in mind the problem of missing data. To help reduce error from missing data, log generic alcoholic beverages instead of brand name items. These items come from the original USDA Food Composition Database. You can learn how generic foods are worded by selecting Standard Reference as the “Select Source” option in that database. This will help you search MyNetDiary using the correct words. For example, I noticed that USDA has cabernet named this way: Alcoholic Beverage, wine, table, red, Cabernet Sauvignon. Because of MyNetDiary’s streamlined searching feature, I find this item in MyNetDiary by simply entering these three shortened words: Alc Red Cab. You can set a goal for alcohol grams - this can serve as a limit reminder. Drinking alcohol in moderation is associated with a lower risk of heart disease. The 2015-2020 Dietary Guidelines for Americans recommends no more than 2 drinks per day for men (equivalent to 28 g pure alcohol) and no more than 1 drink per day for women (14 g pure alcohol). Those levels are considered “moderate drinking.” A one-drink equivalent is 12 fl oz of beer (5% ABV), 5 fl oz of wine (12% ABV), or 1.5 fl oz shot glass of distilled spirits (40% ABV or 80 proof). You can learn more about alcohol in the article What is a Standard Drink published at the National Institute on Alcohol Abuse & Alcoholism. Caffeine is not an essential dietary nutrient. Be careful with caffeine supplements of any type as they can be quite high in caffeine. Go for coffee or tea instead - they have less caffeine and you get the added benefit of antioxidants. Avoid excessive caffeine intake during pregnancy. For more information about coffee and Type 2 diabetes, please read Coffee Can Help Lower Your Risk of Diabetes at MyNetDiary blog. MyNetDiary recommends a goal of 2300 mg of sodium. This goal comes from the 2015-2020 Dietary Guidelines for Americans. In prior versions of MyNetDiary, the DRI Adequate Intake level was used. However, this level is much lower than 2300 mg and is very difficult to achieve unless nearly all foods are made from scratch with no salty ingredients or condiments. If you have a recommended sodium goal from your healthcare provider, then customize your goal to that value. Your goal could be lower if you are older or have high blood pressure, kidney disease, or diabetes. You can learn more about sodium by reading the American Heart Association’s How Much Sodium Should I Eat Per Day. If you train vigorously in high heat or sweat profusely, then your sodium loss will be greater and therefore, you will need to consume more sodium to cover your loss. Please consider working with a sports medicine professional if you need help customizing your sodium goal, especially if you train and compete in aerobic endurance sports. Tip: DASH Diet (Dietary Approaches to Stop Hypertension) has been shown to effectively reduce blood pressure at both 1500 mg and 2300 mg sodium intake levels. Blood pressure lowering was greatest with an intake of 1500 mg sodium in those with high blood pressure. The DASH Diet emphasizes intake of fruits, vegetables, legumes, nuts/seeds, and low-fat dairy products to insure adequate intake of potassium, calcium, and magnesium, in addition to a lower sodium intake. Although MyNetDiary offers 40 nutrients to track, it is important to realize that food labels are only required to list 13 nutrients: total fat, saturated fat, trans fat, cholesterol, sodium, total carbs, dietary fiber, sugars, protein, vitamin A, vitamin C, calcium, and iron. Some manufacturers voluntarily provide data for other nutrients. For nutrients other than those required on the food label, you are more likely to find missing nutrient data. You can minimize missing nutrient data by using generic foods as much as possible where the calories difference is negligible. For instance, using generic nuts, seeds, and oils instead of the brand name products results in a more complete monounsaturated and polyunsaturated fat count in your food record, and therefore, in your nutrient reports. In general, using generic foods for unprocessed produce, meat, fish, dairy, nuts/seeds, dried beans/peas, and plain grains will give you more complete information for nutrients. If you are surprised that a report shows you to be low in a particular nutrient, then check for missing nutrient data in your food log. If there are missing values for multiple food items in your log, then your log will underestimate your true intake. For those of you with kidney disease who must track phosphorus and potassium, be aware that your daily totals will almost always be lower for those nutrients than your actual intake. Do the best that you can in terms of entering generic foods as often as possible so that you minimize missing values. Water is tracked by simply tapping the water glass icons on your Dashboard. The standard glass is 8 fl oz (1 cup) but you can customize that volume to any amount that makes sense to you. If you sync with Google Fit or Apple Health app, MyNetDiary calculates the total water consumed by counting up those water glass icons. Be sure to tap the water glasses for all water and non-alcoholic beverages consumed to get a more accurate total. For instance, if you have a cup of tea, tap a water glass for that. Good luck with your nutrient goal setting! If you still have questions, be sure to post them on Community Forum. We look forward to hearing from you!